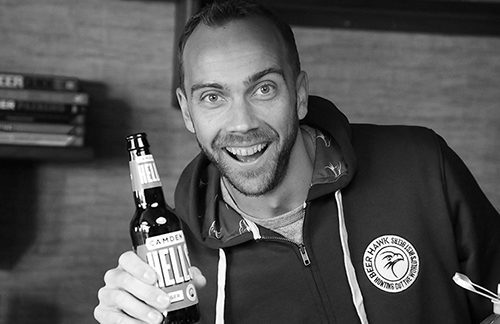 Mark co-founded Beer Hawk in 2012, and within 6 years it’s grown from a small start-up, to the UK’s leading online craft beer retailer. Beer Hawk offers a highly curated range of over 1,000 of the best craft and speciality beers from around the world, and now employs 80 beery enthusiasts on a mission to inspire our customers to find their next favourite beer. At Beer Hawk, Mark leads the commercial functions – from Marketing, B2B Sales, Product, Tech & Finance – all of which is undertaken in-house from our headquarters in Yorkshire. Mark and the team at Beer Hawk have won numerous awards over the years, including Great British Entrepreneur of the Year (Small Business) and Growth Accelerator (Rising Star). Beer Hawk became part of the ZX Ventures innovation group in 2016. When not hunting out the World’s best beers, Mark is incredibly passionate about encouraging entrepreneurship & digital skills. He sits on the Employment & Skills Panel for the Leeds City Region LEP, mentors early-stage local businesses, and is Chair of the Independent Advisory Panel at the Army Foundation College in Harrogate.